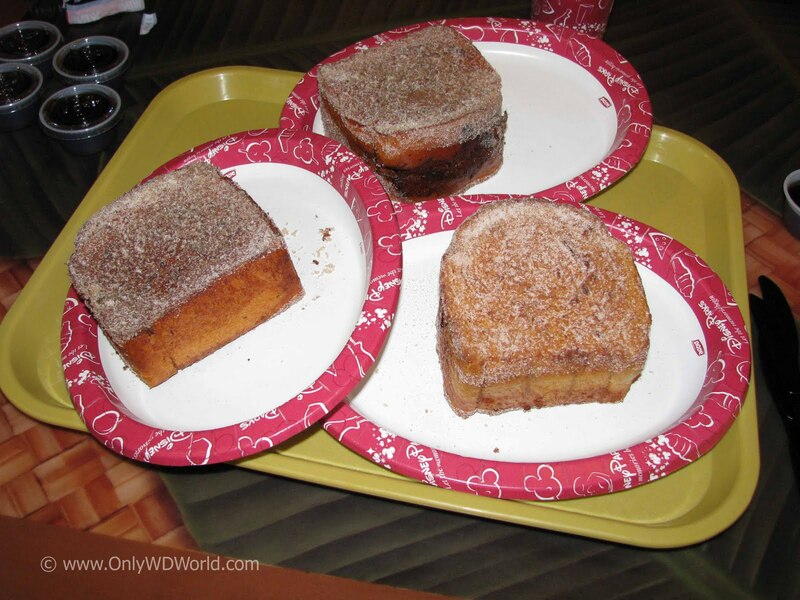 When it comes to dining at the Walt Disney World Resort there are many choices for breakfast to be found, but only one can be the Ultimate Disney World Breakfast Treat. Breakfast at Disney World is anything but ordinary. There are many special breakfast experiences to enjoy. You can travel to Disney's Port Orleans French Quarter to enjoy the freshly made beignets, or you could have the Mickey Waffles at many locations throughout Disney World or enjoy the simple pleasure of the tasty Cheese Danishes that are served. Magic Kingdom guests can partake in the warm Cinnamon Rolls with the gooey frosting or other treats in the Main Street Bakery. There are a multitude of character breakfasts throughout the Walt Disney World Resort that each provide tasty breakfast items and a chance to meet and interact with Disney Characters. The ultimate Disney World Breakfast treat can be found at Disney's Polynesian Resort. 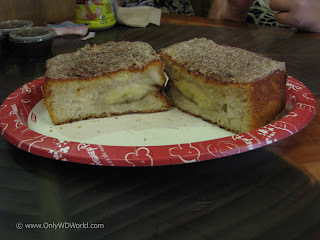 The Tonga Toast can be obtained at either Captain Cook's Quick Service Restaurant or in the Kona Cafe Table Service Restaurant. The Tonga Toast is a thick slice of sourdough bread that is stuffed with bananas and then deep fried and coated with cinnamon sugar. It is served with syrup and makes a wonderful, tasty breakfast. Tonga Toast has almost as much of a following as the Dole Whip. This Disney World creation is one that people crave and talk about when they are away from Disney World and can't wait until they return to be able to taste it again. For under $6 you too, can enjoy the wonderful, sweet goodness of the Tonga Toast. One serving is incredibly filling. 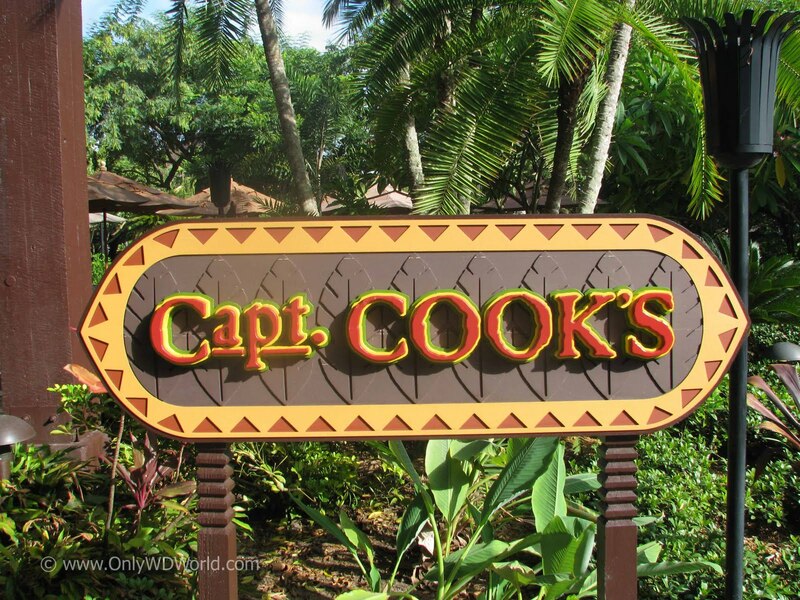 At Captain Cook's it can be ordered ala carte or with your choice of breakfast meats. To make your pilgrimage to the Polynesian Resort to enjoy the Tonga Toast, just take a bus to the Magic Kingdom and then hop aboard the Resort Monorail and take it to the 3rd stop, which is the Polynesian Resort. Once you arrive at the Polynesian Resort travel to the ground floor to find Captain Cook's. After you place your order and pay at the cashier you can choose to eat either inside or outside depending upon your preference. Just like experiencing the Dole Whip, the Tonga Toast is a must do experience for frequent Disney World visitors. This special treat is one that will have you hooked once you give it a try. 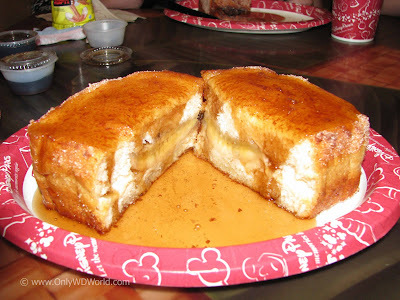 1 comments to "Tonga Toast: Disney World Ultimate Breakfast Treat"
Tonga toast seems to have amazing and sweet taste. I want to try this wonderful toast.